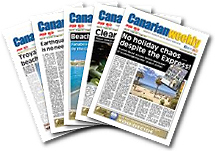 Take a trip down memory lane with all your favourite presenters exclusively in the Canaries on Oasis Fm. Each week Shaun Tilley introduces a different presenter who plays a chart from a month in a year gone by from 1960 - 1990 with tunes from The Beatles to the Bee Gees, and Diana Ross to The Drifters. You can choose the chart you want to hear, whether it's from the week you were born, or the day you got married, by e-mailing us at the studios right now. So, sit back and enjoy.....The UK Top 20 Rewind. Ex-Radio Luxembourg (RTL) presenter and Canadian David Jensen presented a weekday evening show on Radio 1, from 1977 to 1984. He earned the name 'Kid' while working for Radio Luxembourg, because he was the youngest of all the deejays at the station, it was fellow disc jockey Paul Burnett who christened him the Kid, and the name stuck! Born in 1950 in British Columbia, David worked for a local station presenting classical music whilst still at school. He originally intended to study to be an oceanographer, but became 'sidetracked' into the disc jockey world. He came to Europe and joined RTL at 18, where he met his wife Gudrun. He stayed with Luxy for 6½ years, before being signed up for the BBC in September 1976. Kid Jensen was also at radio Trent for just over a year - at the same time as Dale Winton. He then left the UK and briefly worked at CNN in the US (as one of the original launch team). Soon after, he returned to Radio One presenting the weekday evening slot. David Jensen was known for his offbeat dress sense. His musical passion was new wave; bands such as The Jam and the Stranglers. He left Radio 1 to host the new Sunday Nescafe 'Network Chart Show' until 1991 on Independent Radio as well as the Capital FM mid-morning show (moving to drivetime in 1987 until 1998). From that year, David went on to present the same slot on London's Heart 106.2 FM, and from 5th June 2002 he presented the Late Show on London based Capital Gold AM. Former TV presenter David Hamilton compered shows with The Beatles, the Rolling Stones, David Cassidy and the Bay City Rollers before being invited to join Radio One in 1973. Working at the BBC alongside Noel Edmonds, Tony Blackburn and Johnnie Walker during the seventies, David was a regular host of Top of the Pops . He also hosted Seaside Specials, the Times Gala Awards, the World Disco Dance Championships and numerous beauty contests. He is also known as 'Diddy' as he used to be an assistant for Ken Dodd! David Hamilton's afternoon show was broadcast simultaneously on Radio 1 and Radio 2 from January 1975 to November 1977. He became known as the DJ who was 'The housewives' favourite'. David stayed with the BBC for many years as a DJ on Radio 1 and 2 and his later Radio 2 show played a pop music format with artistes not normally heard on the station, including Madness. David moved to commercial radio in 1987. He presented a daily show for the Classic Gold Network and since early 2003 has worked for the National Digital Service Prime Time Radio, DJ'ing for Saga FM. Born in Manchester in 1943, Paul Burnett first worked as a salesman and made his first broadcast for the Aden Broadcasting Service while serving in the RAF. On returning to the UK, Paul worked as a Disc Jockey at a Northern Disco five nights a week before buying himself out of the Air Force. After a brief spell as a Pirate Radio announcer on the North Sea (Radio 270 off the coast of Yorkshire) he worked for Radio Luxembourg before joining Radio 1 for the Saturday morning slot in March 1974. Paul held the weekday lunchtime slot from 1974 to 1982. Every Tuesday he counted down the new singles chart live on Radio 1. He first presented a three hour Sunday show called All There Is To Hear, taking over the weekday lunchtime slot in July 1976. Here his shows included a countdown of the new singles sales chart on Tuesdays, as well as daily features 'Pub of the Day' and 'Fun at One' featuring a recorded comedy clip. More recently, he broadcast on Classic Gold Radio at lunchtime on various stations in the UK, and is now involved in a film project about his days on Nova 270. In April 2004 he returned to Classic Gold Digital on a Saturday morning as well as a weekday lunchtime show. Born in Surrey 1943, Tony Blackburn's family moved to Dorset in 1948. Educated at a public school, Tony went on to study at Bournemouth College, receiving a Business Diploma, but from an early age his ambition was to be a singer and disc jockey. He successfully auditioned for Radio Caroline South in 1964, however the different presentation style where his happy, teenage personality was projected to the listener was not initially welcomed by the station manager, although listeners approved. In 1965, he declined a job offer with Radio London who wanted him to change his name to 'Mark Roman !'. He released 3 records with Fontana records in 1965/66 and has written 200 songs, but only had one published. In 1966, he resigned from Caroline due ill health, but shortly after commenced with Radio London, presenting the breakfast show under his own name. Tony began work with the BBC Light Programme in August 1967, presenting 'Midday Spin', but he knew this was an audition for the yet to be launched Radio 1. When Radio 1 started the next month, Tony was the first Disc Jockey on the new station. He was helped by Arnold the dog, who he found on a BBC sound effects tape. The Breakfast Show included a 'School Salute', from 1969, a feature where if your school was mentioned you won Radio 1 goodies. He released 'So much Love' early 1968 and an album, 'Tony Blackburn Sings'. He also had his own television show in that year, 'Time for Blackburn' which was seen across the UK. Tony moved from Breakfast to weekday mid-mornings from June 1973, where he featured 'The Golden Hour'. This feature was later carried by Simon Bates. Moving again in Autumn 1977 to weekday afternoons for two years, it was during this period Tony went through a divorce from his actress wife Tessa Wyatt (of Robin's Nest). He found the emotional loss hard to handle and was prescribed medication in order to help. He made the public aware of his broken heart and repeatedly dedicated weepies such as ‘If You Leave Me Now' by Chicago to Tessa on his Radio 1 afternoon show. 'Junior Choice' followed from 1980, featuring songs for younger children, and the UK Sunday chart countdown for 2½ years. He remained with Radio One until 1984, moving to BBC Radio London, where he introduced the first (legal) soul music radio show in the UK. Here he hosted a morning show mixing music with listener phone-ins. The shows are remembered for Tony's use of light-hearted innuendo and banter with female callers. From 1988 he could be heard around the UK on local 'Capital Gold' stations in the drive-time slot, Monday to Friday. Tony's musical passion is soul music, and he is famous for his light humoured 'corny' jokes and upbeat presentation. In September 2002, Tony took part and won the British Television series 'I'm a Celebrity Get Me Out of Here'. Four male and four female media personalities were placed in a rainforest in North Queensland, Australia and were set daily 'bushtucker trials' to win food. Tony had to walk along a large 'spiders web' and endure a shower of maggots! He also collected many logs for the fire. Tony was voted the winner by viewers and, along with the other contestants, raised thousands of Pounds for his chosen charity. Presenter text (c) Radio Rewind - used with permission.